By Jonathan Keane , September 12th, 2017. 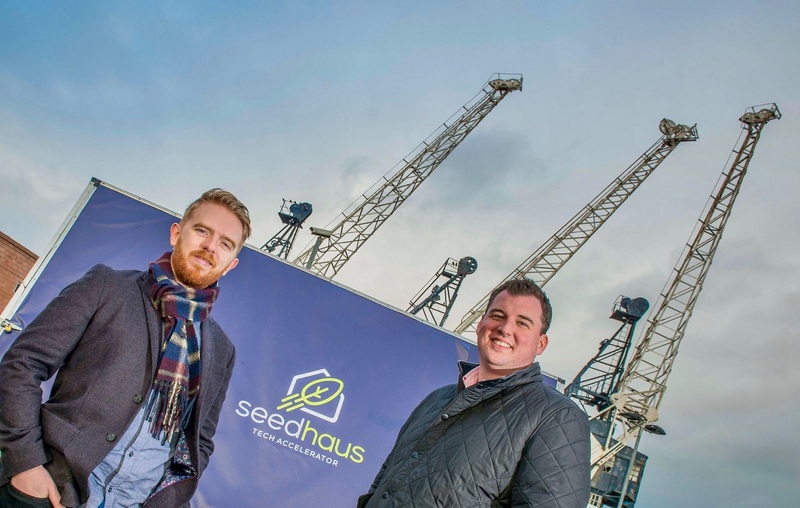 Seed Haus, a pre-seed tech accelerator in Edinburgh, has announced its first batch of startups and several high-profile investors. Seed Haus is a not for profit organisation providing pre-seed investment and support for Scotland’s startup ecosystem. It was founded by Calum Forsyth, CEO, and Robin Knox, chairman, whose previous IPOS company was acquired by iZettle last year. Investors in the program include: Paul Walton (IPOS/iZettle), Gav Dutch (Yavi), Alistair Forbes (LogicNow), Rob Dobson (Actix), Judy Wilson (Marketry), James Watt (Brew Dog), Chris van der Kuyl (4J studios), Paddy Burns (4J studios), Paul Davidson (West Coast Capital), and Sir Tom Hunter. More than 165 startups applied to Seed Haus, half of which were international. Five inaugural startups were chosen for the programme: SecurityCTRL, a cybersecurity startup; IoT/wearable company Sansible; on-demand drinks service, Drinkly; family communication platform Kindaba; and Taka, which is developing a therapeutic treatment for Parkinson’s. “The founders themselves represent a highly-talented, diverse group with considerable experience and achievements already under their respective belts,” said Forsyth. Startups in the program receive £18,000 and office space in Edinburgh. The accelerator has partnered with a number of companies and organisations to provide feedback and advice to the startups, including MBM Commercial, Johnston Carmichael, Silicon Valley Bank, Amazon AWS, Google Cloud Platform, Hubspot, and SendGrid. “We seek out people with the best ideas at a very early stage – we are not looking for business plans,” added Knox.